SAVE FRANKTOWN - Say "NO" to the proposed high density development -- the Franktown Village!!! The citizens of Franktown want to preserve our quality of life and are alarmed about the proposed high density development in our agricultural and rural area. Franktown is an historic town and its heritage should be preserved. We are people with a rural mindset that choose to live in this environment. 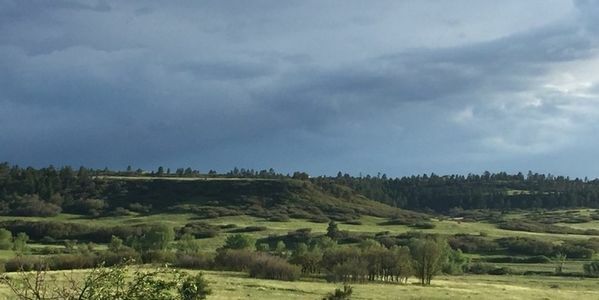 People purchased homes in Franktown because they want to live in a rural community - they made this choice because of the master plan guidelines of access to five or 35-acre parcels. We don't want to live in an urban setting and oppose rezoning. It is not compatible with the rural nature of Franktown as described in the comprehensive master plan. Because of our strong desire to live "in the country", we are extremely concerned about high-density development of our town. The negative impacts of this development are real. We need to protect our already diminishing water resources - this development will put undue pressure on the water table which is already being depleted (and it's not renewable per the comprehensive master plan). We need to preserve Franktown's beauty and protect the wildlife in our community - this development will drive out wildlife and negatively impact their habitats, and our town will become "just another urban city". This development will increase traffic dramatically. Our state highways are already at capacity in this area and adding more congestion is a safety risk and would negatively affect our quality of life. This high-density development will also increase crime and reduce our security. We live in one of the safest counties around and increasing our population in this small rural town will further task our law enforcement and other municipal resources and put our families at greater risk. Crime has already increased in the area. The majority of the citizens in Franktown oppose high density growth because our quality of life as we know it will be forever changed. Therefore, we respectfully ask our county commissioners to adhere to the promises of the master plan. We also ask our commissioners to adhere to their promises of "responsible growth and to protect our quality of life." By signing this petition, we stand as one voice to defeat this proposal.